You can't have your cake and trademark it too. 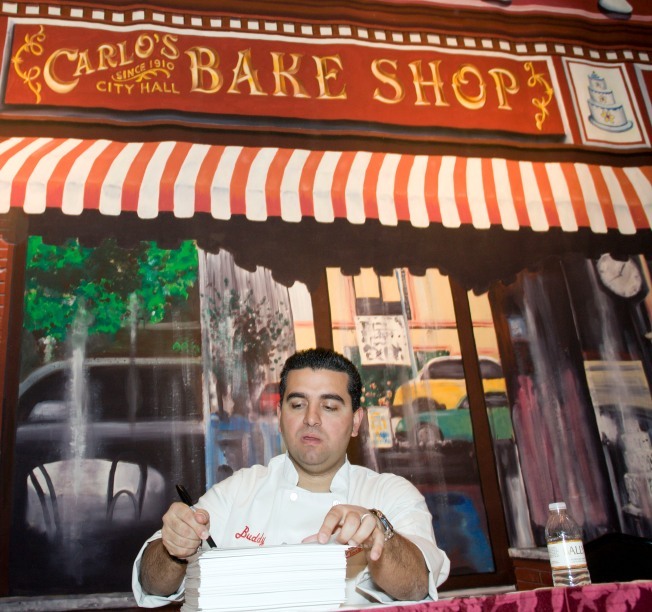 Baker Buddy Valastro of Carlo's Bakery in Hoboken, the chef formerly known as the "Cake Boss," will have to change his nickname his The Learning Channel show's title -- at least for now. Valastro and TLC's parent company, Discovery Communications, are being challeneged by Masters Software, Inc., which sells a business management program specifically for bakers called, of course, "CakeBoss." Co-owners Kelley and Jon Masters say they have been selling the software since 2007, two years before the show "Cake Boss" started on the TLC in 2009. At a court hearing on July 16 in Seattle, where Masters Software is based, the owners testified that they contacted Discovery channel about the name overlap but the network declined to change Valastro's show name, claiming that no one would confuse the show and the software. So, while CakeBoss software's website hits have gone way up, the company also receives numerous emails and telephone calls from fans, as well as requests for custom cakes from Valastro's bakery, Kelley Masters said in court, adding that sometimes when a new episode of Valastro's show airs, the CakeBoss software website is overloaded and forced to shut down. The Masters say that the show producers didn't even make any effort to check if the name was already taken. "There is no evidence that Discovery tried to determine if Cake Boss was in use in business before it chose the name in February 2009," the court papers read. Litigation is ongoing, but Valastro and Discovery have now been forbidden by a federal judge in Seattle from using the name while the case is decided. The Masters should find winning their suit to be a piece of cake, based on legal precedents. "It is highly likely that Discovery's junior mark [the Cake Boss show] will 'overwhelm any public recognition and goodwill that [Masters] has developed in the mark,'" the court documents read, citing a similar 2002 court decision. "There is substantial danger that Discovery's 'ability to saturate the marketplace' will lead consumers to assume that CakeBoss is somehow associated with Cake Boss [the show]." And Buddy Valastro's not the only celebrity chef chewing on hard-to-swallow litigation. A week after the CakeBoss case's court papers were released, Mario Batali was sued by former employees of his Greenwich Village restaurant.